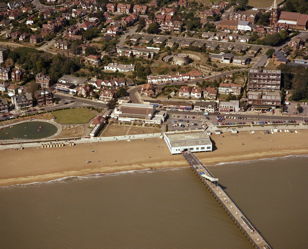 Felixstowe from the seafront. 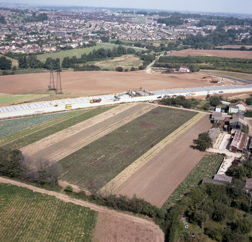 Near the centre of the picture is the curve of the railway cutting leading down to the docks, and beyond that the Trimley water tower. 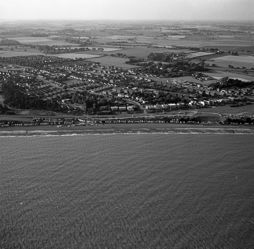 Felixstowe seafront, looking northeast towards Old Felixstowe, Felixstowe Ferry and the Deben estuary. 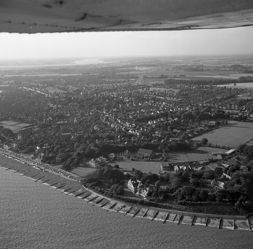 Felixstowe from the seafront with the River Orwell in the distance. 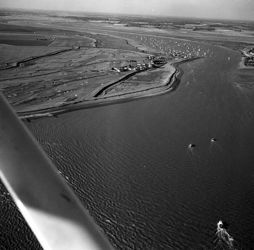 Old Felixstowe, Felixstowe Ferry and River Deben. 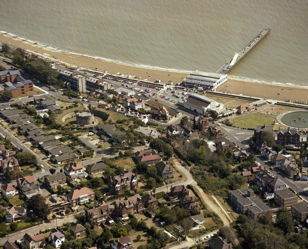 Old Felixstowe from the seafront. 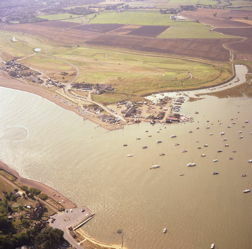 Felixstowe Ferry and River Deben. 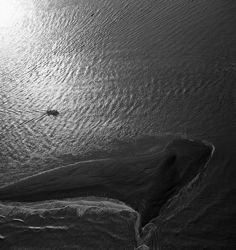 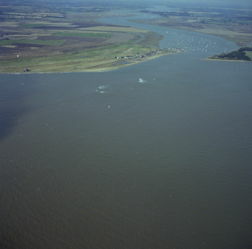 Sandbar at the mouth of the River Deben. 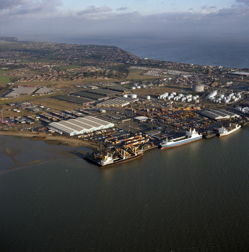 Felixstowe docks. 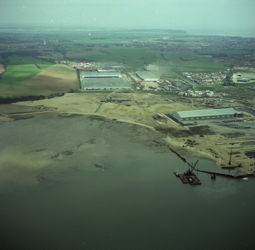 Low tide has exposed the disused oyster beds on the bank of the River Orwell. 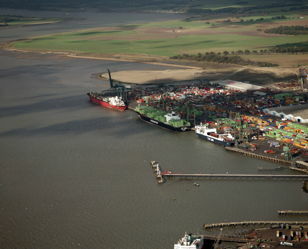 Felixstowe docks. 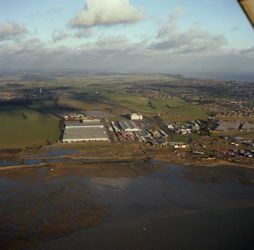 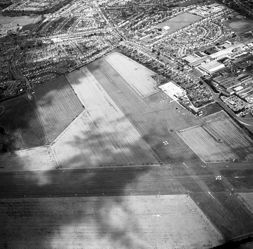 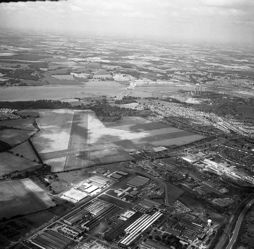 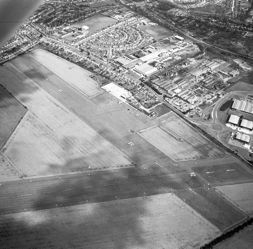 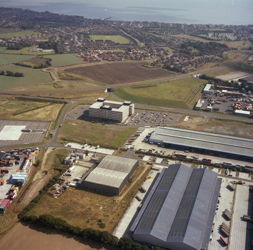 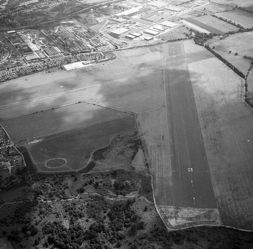 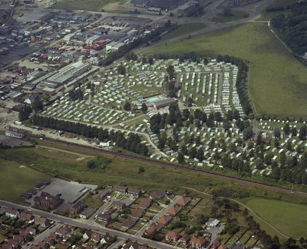 The large black sheds near centre left are 2 of the 3 hangars originally constructed in 1913 for the Royal Naval Air Station. 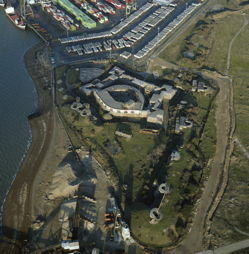 Languard Fort with Felixstowe docks behind. 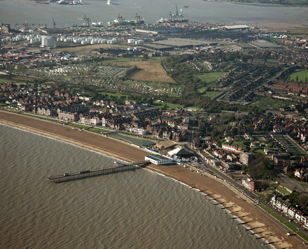 Felixstowe from the seafront with the River Orwell in the background. 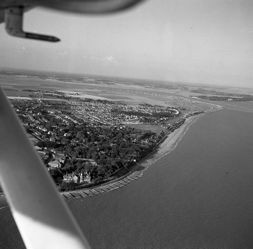 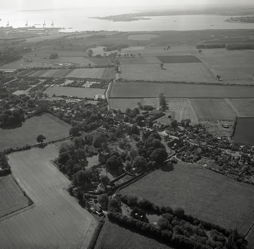 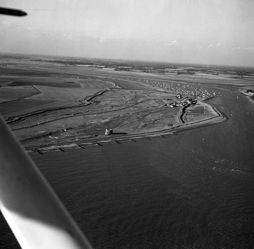 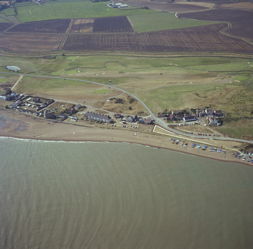 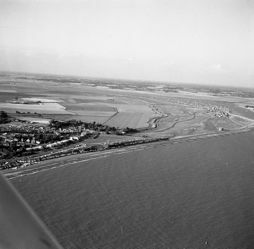 Old Felixstowe with Felixstowe Ferry and River Deben. 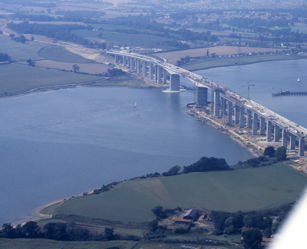 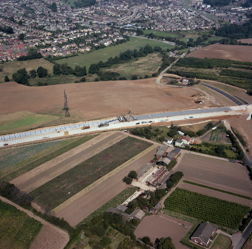 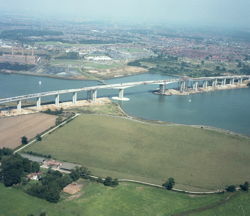 Construction of the new Orwell bridge to carry the A45 (later renamed A14) bypassing Ipswich. 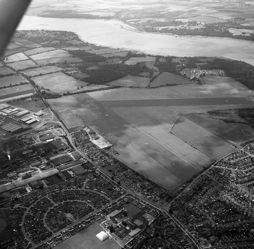 Ipswich airport, with Felixstowe, River Orwell, Shotley, River Stour & Harwich in the background. 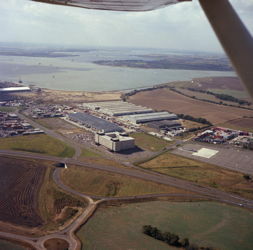 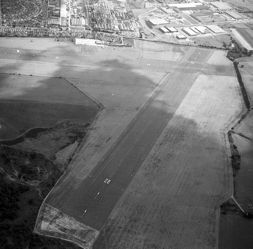 Ipswich airport, with River Orwell in the background. 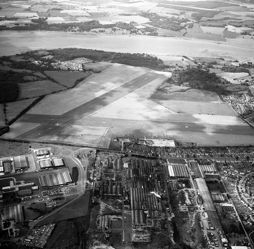 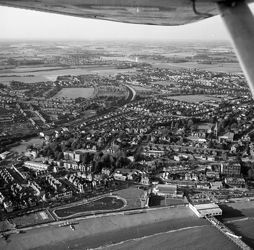 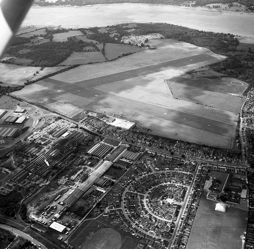 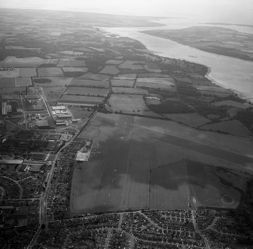 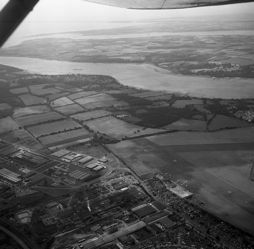 Ipswich airport, with River Orwell, Shotley peninsula, River Stour & Harwich in the background. 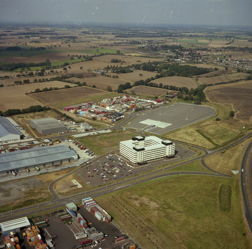 Ipswich airport and part of Ipswich. 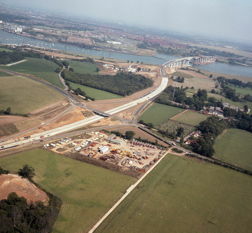 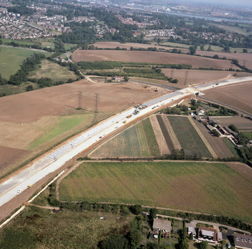 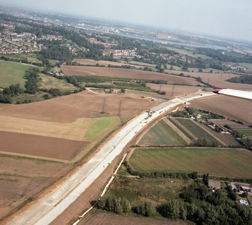 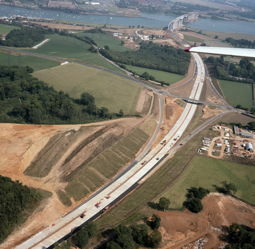 Construction work on the new A45 (later A14) bridge over the River Orwell is visible near the centre, and one chimney of the Ipswich power station is visible centre right. 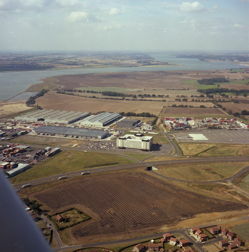 Ipswich airport and part of Ipswich. 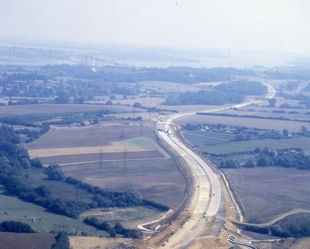 Construction work on the new A45 (later A14) bridge over the River Orwell is visible near the centre, and the 3 chimneys of the Ipswich power station are to the right of centre. 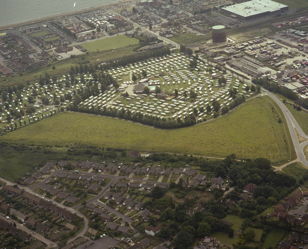 Cat House marina on the River Orwell. 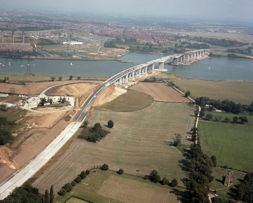 Construction of the new bridge over the River Orwell to carry the A45 (later renamed A14) bypassing Ipswich. 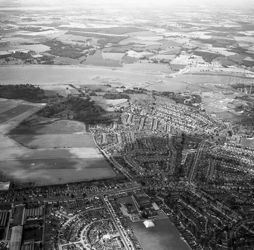 On a rather hazy February afternoon from about 4000 feet, Felixstowe docks starting to expand inland up the north bank of the River Orwell, covering the old oyster beds. 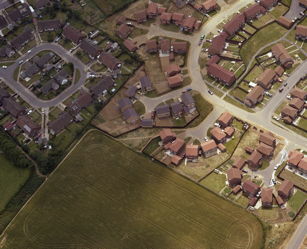 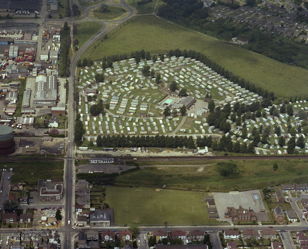 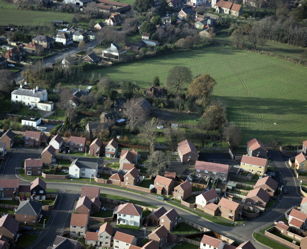 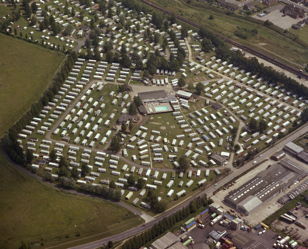 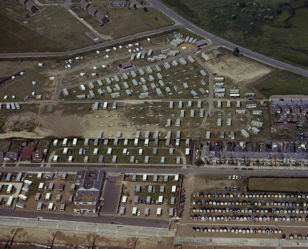 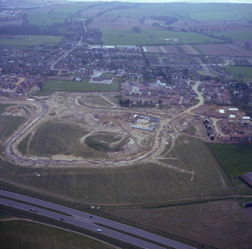 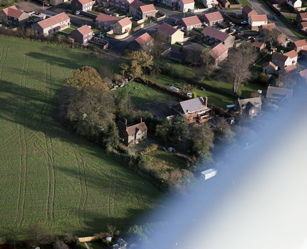 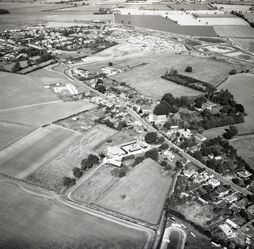 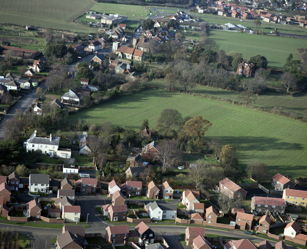 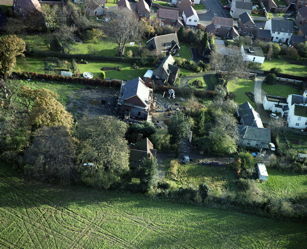 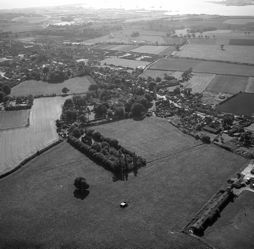 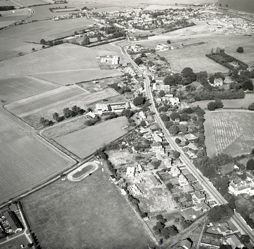 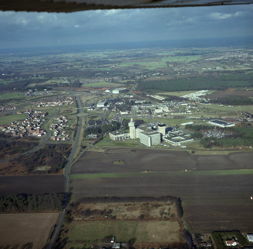 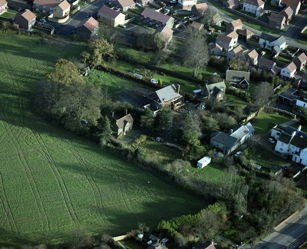 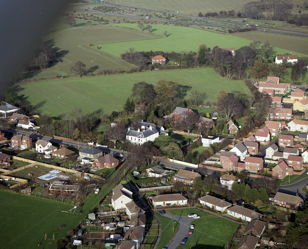 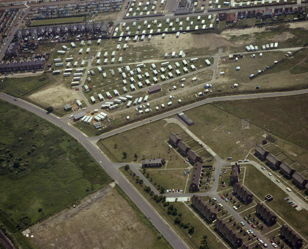 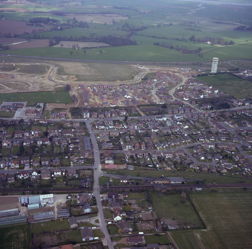 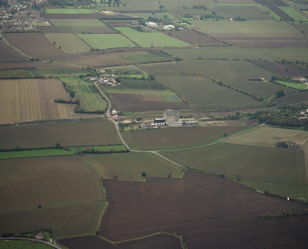 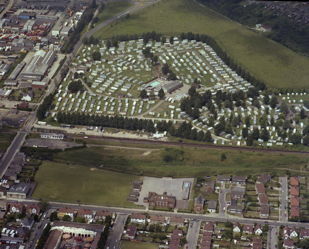 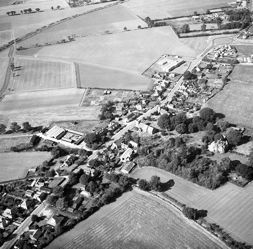 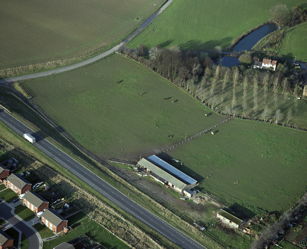 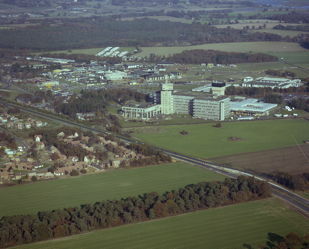 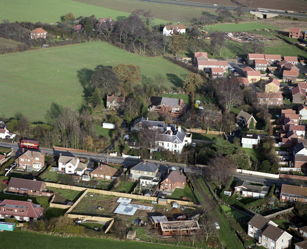 In the centre, the Trimley villages with the water tower to the right. 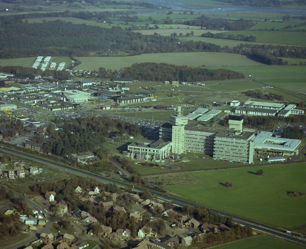 Just visible at upper left is the BT Research Labs tower. 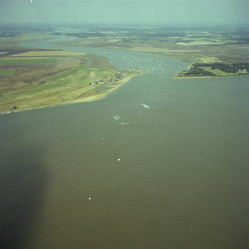 Snaking across in the distance is the River Deben. 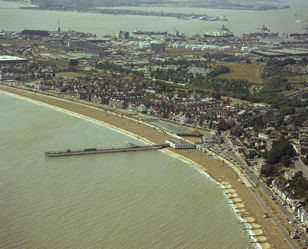 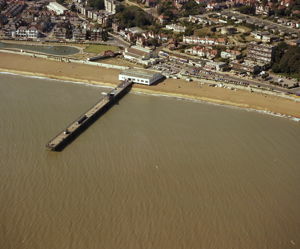 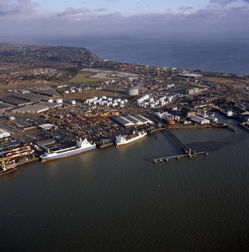 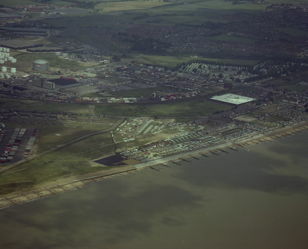 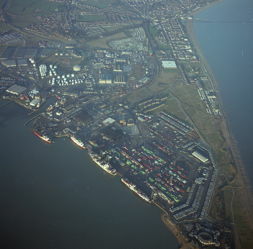 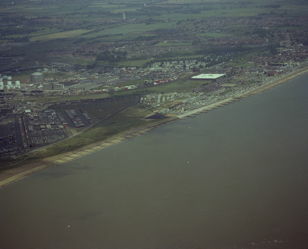 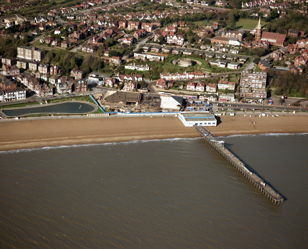 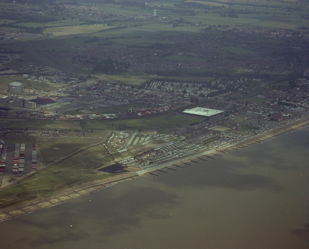 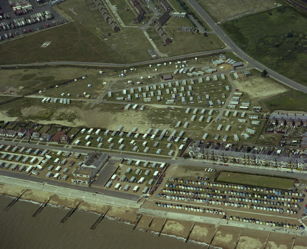 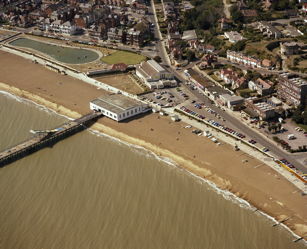 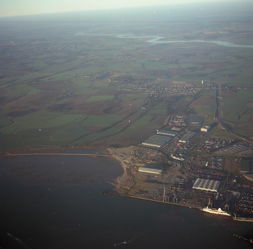 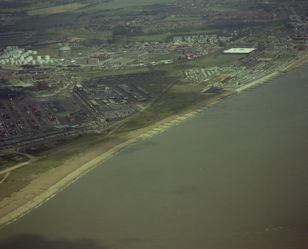 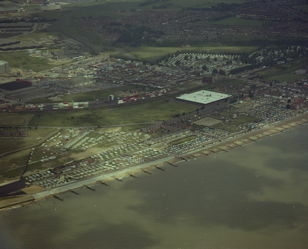 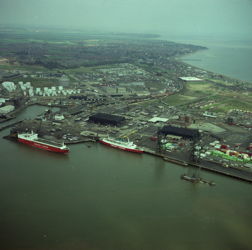 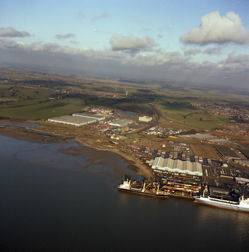 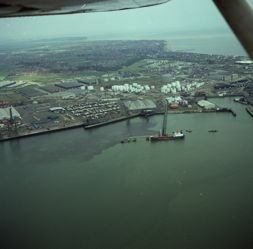 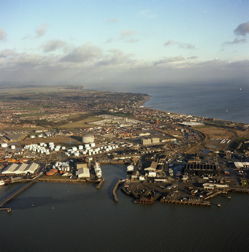 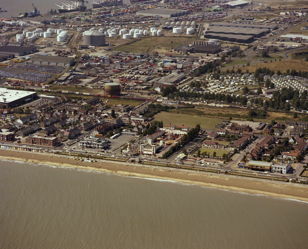 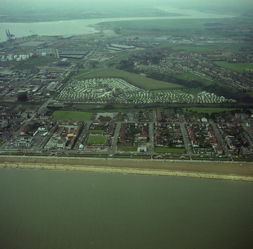 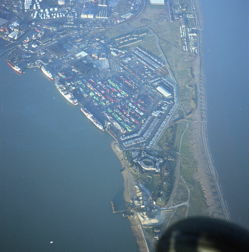 Felixstowe docks with Landguard Fort at bottom right and Felixstowe Pier near top right. 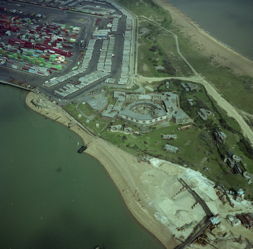 Felixstowe docks with Landguard Fort near the bottom. 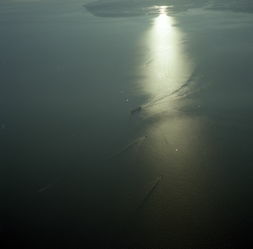 The dark fuzzy object at bottom right is the aircraft wheel. 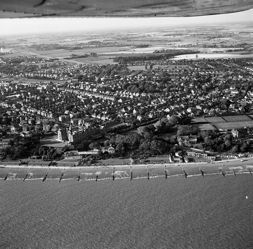 Felixstowe seafront with beyond it Felixstowe Ferry and the River Deben, with the sandbars at its mouth which make navigation interesting. 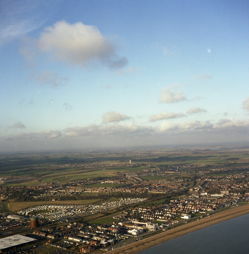 Late afternoon sun over Walton-on-the-Naze. 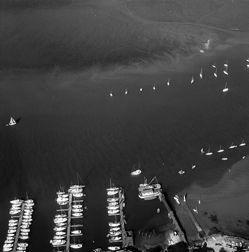 Water traffic large and small heading in and out of the mouth of the River Orwell. 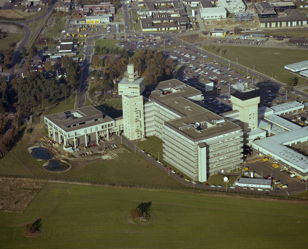 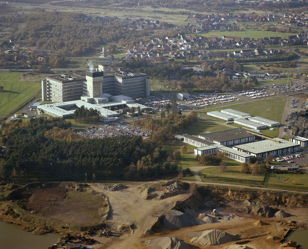 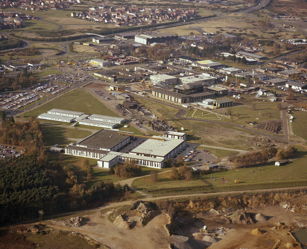 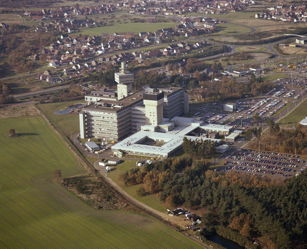 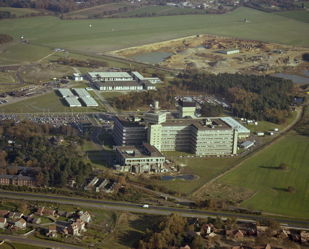 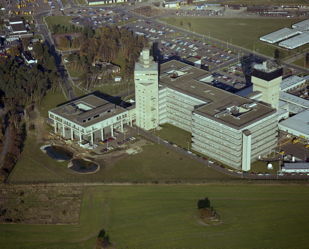 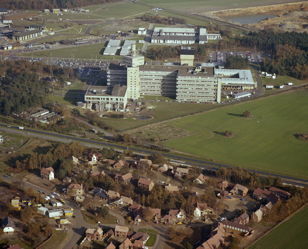 BT Research Labs, Martlesham Heath. 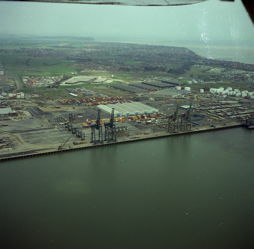 Felixstowe docks expanding inland along the north bank of the River Orwell. 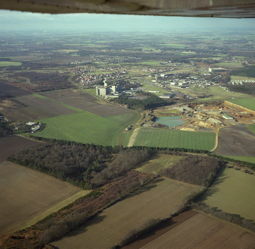 At upper left is the Trimley water tower and in the background the River Deben. 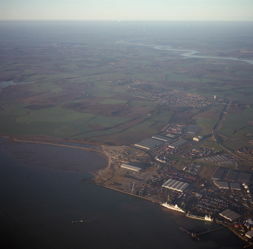 Felixstowe docks with Felixstowe town and the River Deben in the background. 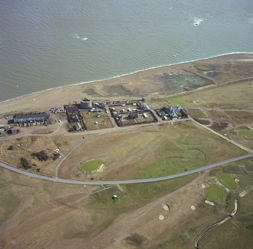 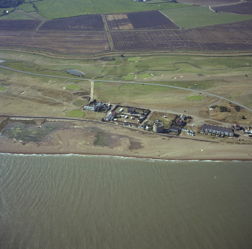 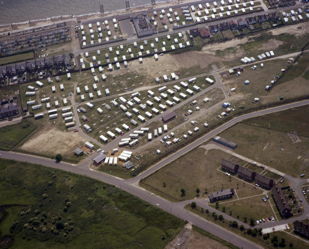 Landguard Fort with part of Felixstowe docks behind. 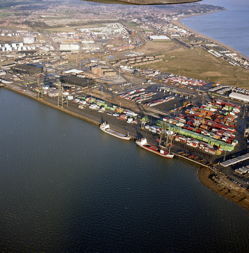 Felixstowe from the seafront with part of the docks and River Orwell behind. 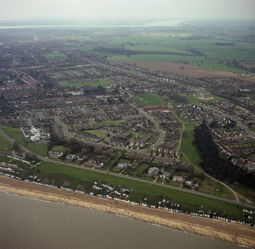 Felixstowe from the seafront with River Orwell behind. 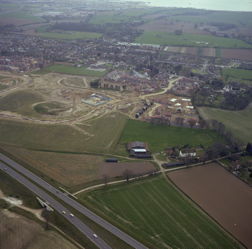 New houses being built at Trimley St Mary near the water tower. 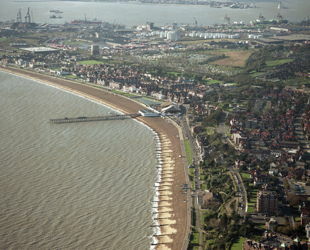 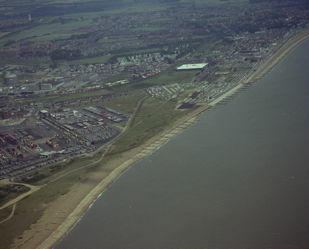 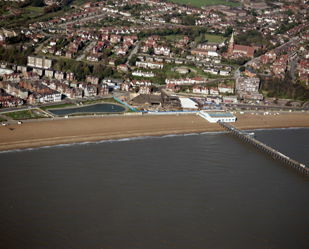 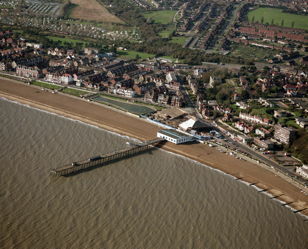 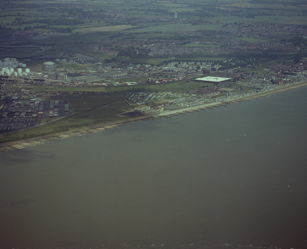 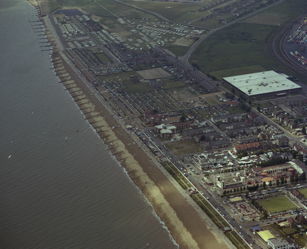 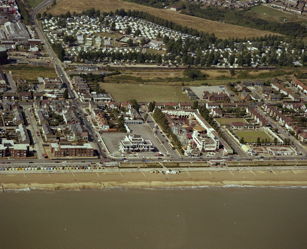 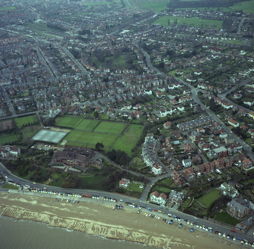 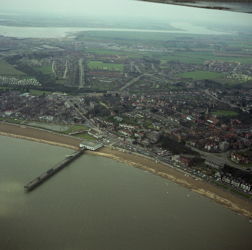 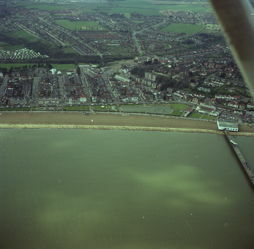 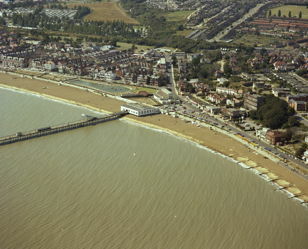 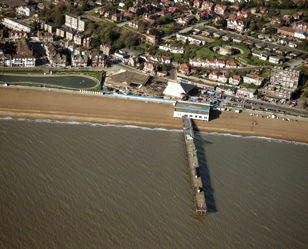 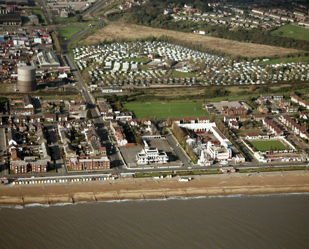 Felixstowe docks at top left. 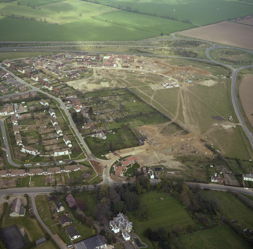 New houses being built at Trimley St Mary. 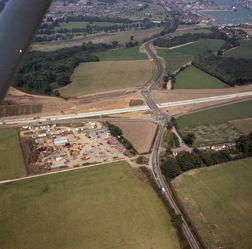 Station Road / Cordy's Lane going up from the centre towards the River Orwell. 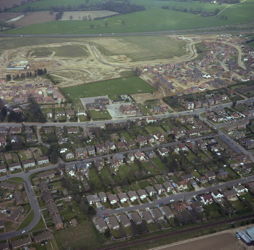 New houses being built at Trimley St Mary. 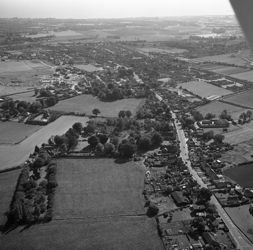 Station Road / Cordy's Lane visible at upper left. 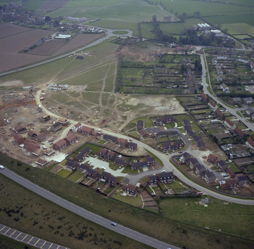 New houses being built at Trimley St Mary. 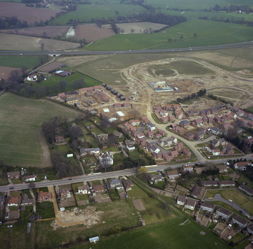 New houses being built at Trimley St Martin. 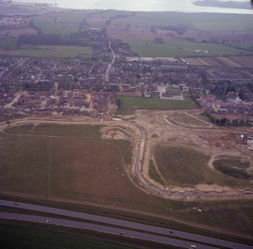 New houses being built at Trimley St Martin. 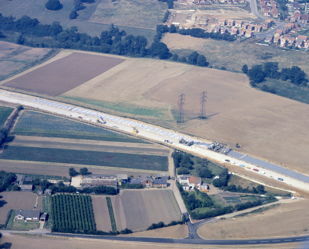 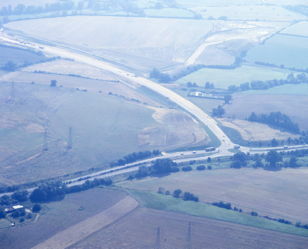 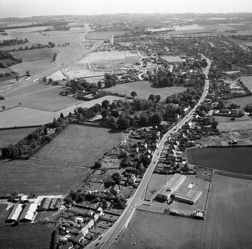 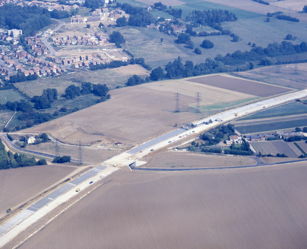 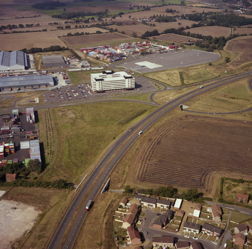 A45 (later renamed A14) dual carriageway at top. 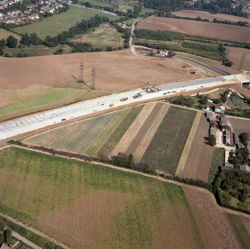 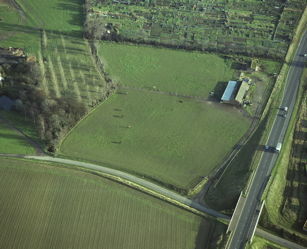 Note that this was taken before the underpass was made below the roundabout at top right. 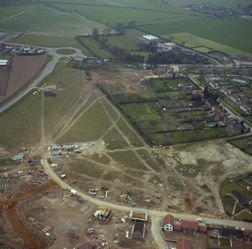 New houses being built at Trimley St Mary near the water tower. 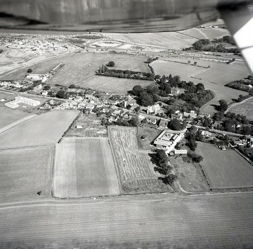 Trimley station in the foreground, with Station Road running up to join Trimley High Road. 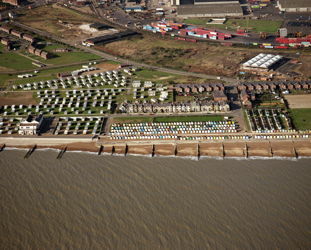 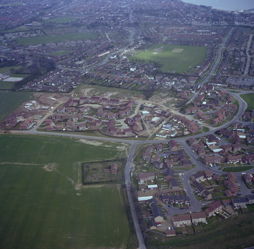 New houses being built on the edge of Felixstowe. 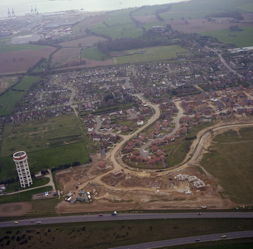 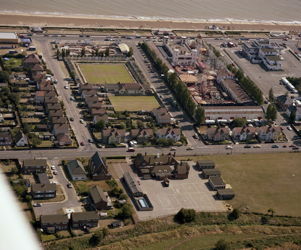 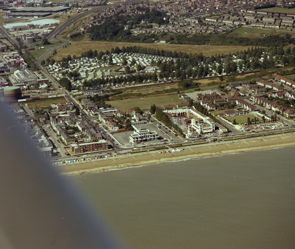 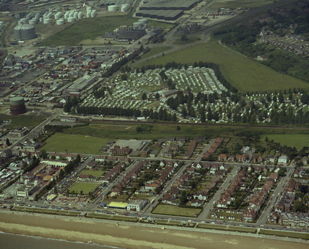 New houses being built on the edge of Felixstowe, with the dock spur road in the foreground. 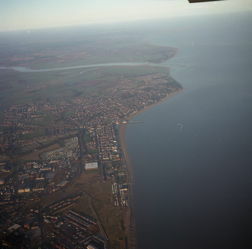 The churches of Trimley St Mary and Trimley St Martin; the estuaries of the rivers Orwell and Stour in the background, with Shotley peninsula between them. 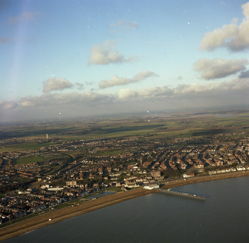 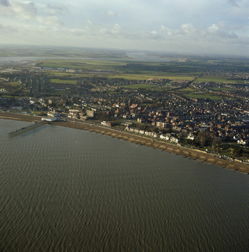 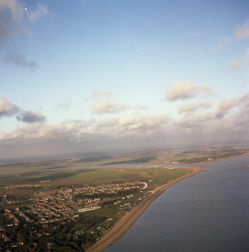 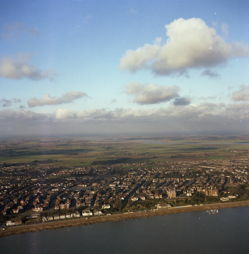 The churches of Trimley St Mary and Trimley St Martin; in the background Felixstowe docks on the confluence of the rivers Orwell and Stour; between the rivers the Shotley peninsula appears at top right; top centre is Harwich and in the distance at top left is Walton-on-the-Naze. 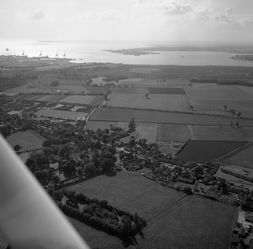 The churches of Trimley St Mary and Trimley St Martin; in the distance Landguard Point, Felixstowe docks and Harwich. 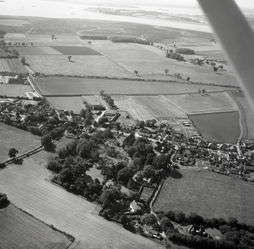 The churches of Trimley St Martin and Trimley St Mary with the estuary of the river Orwell in the background. 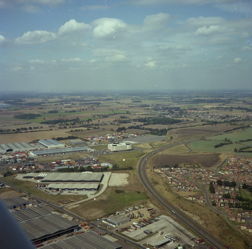 Snaking across the centre of the picture is the railway line from Ipswich to Felixstowe. 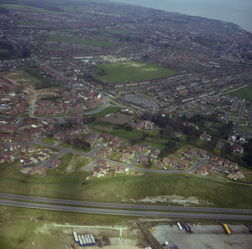 The churches of Trimley St Mary and Trimley St Martin with Felixstowe in the background. 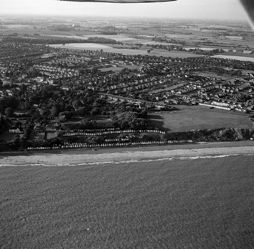 The churches of Trimley St Mary and Trimley St Martin with Walton (not to be confused with Walton-on-the-Naze!) 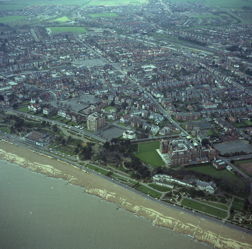 and Felixstowe in the background. 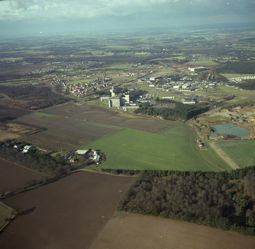 The Trimley water tower is a prominent landmark. 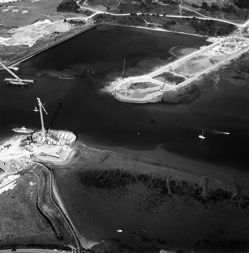 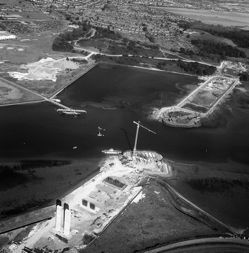 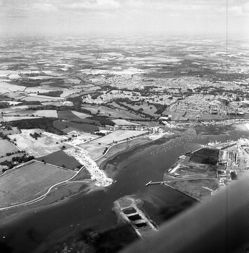 The construction of the new road bridge over the River Orwell downstream from Ipswich and the new A45 (later renamed A14) approach road. 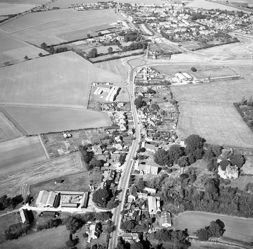 When I looked at the scan from this negative of a railway level crossing with adjacent inn & concrete silo, I had no idea where it was taken or why. 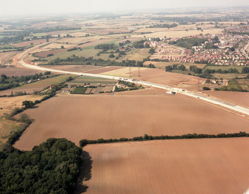 However, one night I couldn't sleep and so spent some time searching Google Earth along all the railways near Ipswich Airport with overhead electrification for features that matched those in this photo. 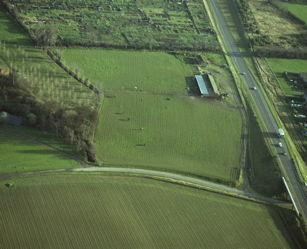 I found the answer near Old Newton, looking east towards Haughley. 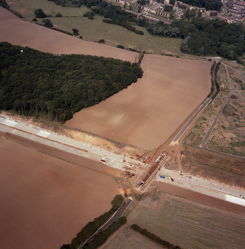 At the right (north) of the picture the railway line forks, with one line going to Bury St Edmunds and the other to Norwich. 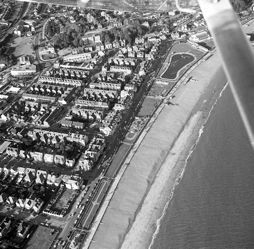 Still can't remember why I took this, but it must have been at (pilot) Bill Dearn's instigation because I now recall that he lived thereabouts. 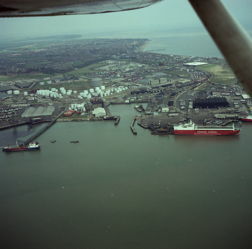 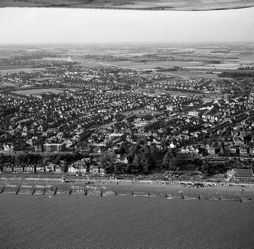 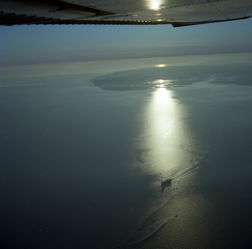 It must have been important to him because it is about 16 miles away from Ipswich in the opposite direction to Felixstowe where the rest of the pictures on this flight were taken.